Anti-government protesters in Kiev have begun to build a protest camp in front of Ukraine’s parliament building. Earlier over a thousand supporters of the opposition and the former Georgian President and Odessa governor Mikheil Saakashvili gathered in front of the Ukrainian parliament demanding President Petro Poroshenko resign. They also wanted electoral reforms, the creation of anti-corruption courts, and the abolition of parliamentary immunity. 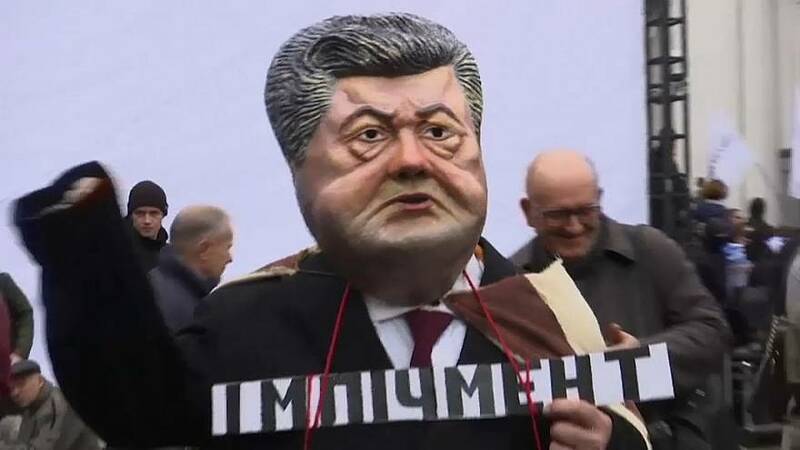 Poroshenko called the protest ‘an extremely important element of democracy’ adding that it was essential to ensure the peaceful nature of the rally. While this is how they began, far-right nationalists later joined the protesters, and there was a scuffle with riot police. This lead to one police officer getting injured and having to be carried away on a stretcher.